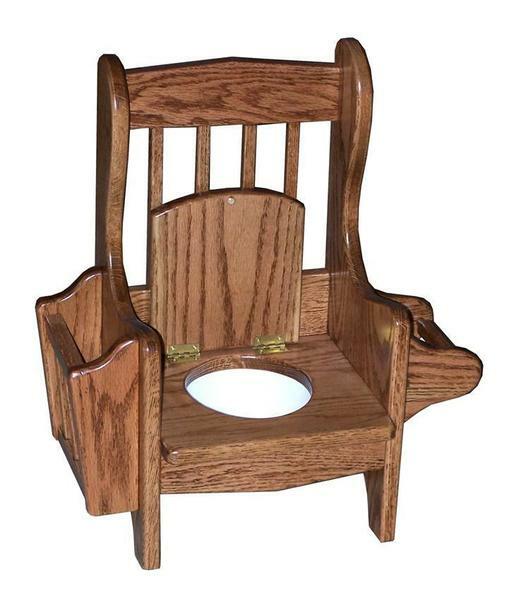 Rely on our Amish Oak Wood Mission Potty Chair to be used for generations to come! A sweet little chair, made of strong, light-colored oak wood, will make little ones feel like big girls and boys as they learn to transition. They will love their special little chair that is built just for them by Amish woodworkers who hold family dear to their hearts. A comfortable seat and a supportive back will keep them comfy as the removable bowl makes for easy cleaning. Visit our blog for ideas to furnish your nursery with! Call one of our Amish Furniture Specialists today at 1-866-272-6773 with any questions. 19" x 10.5" x 20.5"
2" x 1.5" x 3"